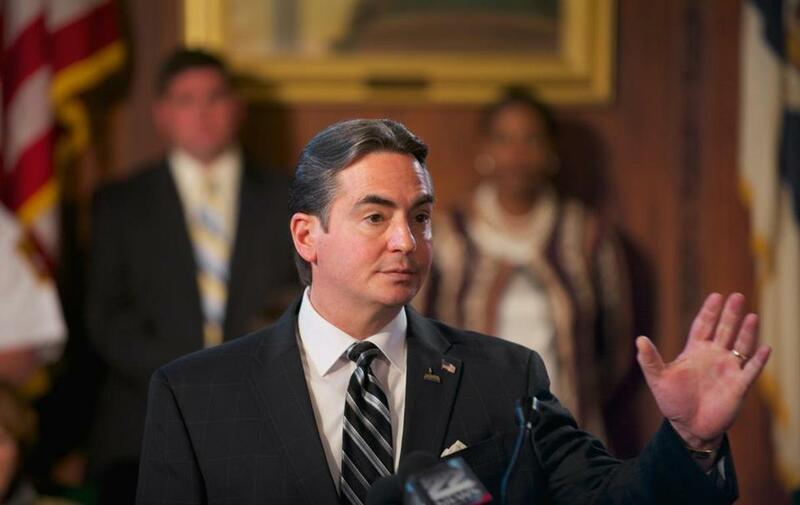 Mayor Sarno fails to protect all of Springfield citizens, caves in to Trump regime’s bullying and blackmail and gives in to the politics of fear, hatred and division. In these dark times, we need brave, courageous leadership that stands on the side of love and unity! President Trump’s recent executive orders on immigration continue to draw the opposition of immigrants across the country including those in Western Massachusetts. On Thursday, a group of community activists personally delivered a letter to the mayor’s office asking him to meet with them over their concerns. The community group feels that President Trump’s executive orders have unfairly targeted Muslims and the immigrant population. Mayor Sarno is not budging from his position that Springfield will not become a sanctuary city. Springfield community leaders deliver a letter to mayor Sarno’s office that was signed by 14 individuals and organizations. They’re seeking a meeting with the mayor to discuss the city’s policies regarding the President’s executive orders on immigration. In addition, community leaders asked the mayor to sign an executive order himself that would stop local police officers from being forced to carry out the work of federal immigration authorities. “What our point is you can call it sanctuary, or something else you can use a different word what we are asking is a specific proposal we believe doesn’t run afoul of President Trump’s executive order,” said Billy Peard of the Pioneer Valley Workers Center. The visit to the mayor’s office comes after a recent rally at City Hall where hundreds of people turned out to protest President Trump’s immigration policies. Mayor Sarno told Western Mass News he will not sign such an executive order. “I’m all for legal immigration but not skirting the letter of the law, we’re not going to be a sanctuary city, I’m not going to the group’s demand,” said Mayor Sarno. The group has its concerns and felt a meeting with the mayor would allow them an opportunity to discuss in detail those issues. “People have a lot of fear he’s been sending a divisive message similar to trump, and we want to have a conversation with Sarno,” said Jafet Robles of Neighbor to Neighbor. “Springfield is a melting pot, and if we don’t stand up for Muslims now then when will we stand up for the rest of everybody else,” said Adam Gomez, a Springfield City Councilor. Mayor Sarno was not in his office so the group’s request will be delivered to him. Although Mayor Sarno said the group knows how that he doesn’t feel a meeting is necessary. “The meeting is not in the best interests of the city of Springfield , it’s residents, and businesses,” Mayor Sarno continued. Copyright 2017 Western Mass News (Meredith Corporation). All rights reserved.